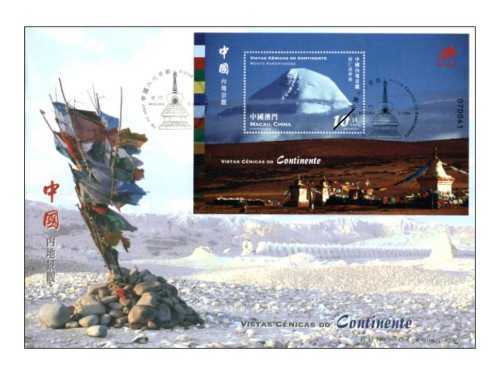 The landscape on this souvenir sheet is Mount Kangrinboqe, it is situated in the Pulan province, Ali County, in Tibet, its peak is always covered in snow and is shaped peculiarly like a pyramid. This mount was selected by the election organized by the China National Geographic magazine as one of the top 10 most beautiful mountains in China. 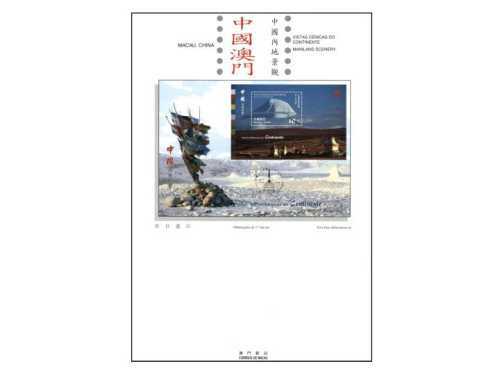 This is the ninth issue in 2007. 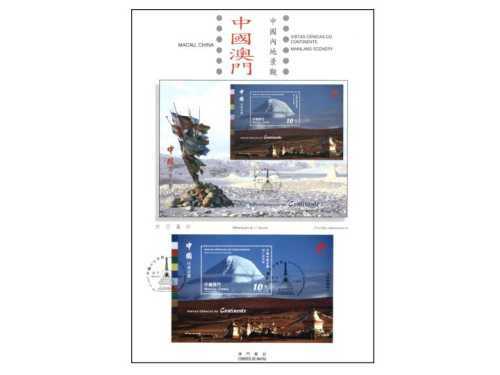 The issued stamps are as “Lunar Year of the Pig” on 08/01/2007; “Shek Wan Ceramics” on 03/02/2007; “Scenes of Daily Life in the Past IV” on 01/03/2007; “Chinese Traditional Shops II” on 08/05/2007; “Seng Yu – Idioms II” on 01/06/2007; “Literature and its Characters – A Journey to the West II” on 18/06/2007; “Centenary of the Establishment of the World Scouting Movement” on 09/07/2007 and “200 Years of Robert Morrison Arrival in China” on 28/09/2007. Respond to the Universal Postal Union for the celebration of the World Post Day, the Postal Administration achieves various activities relative to this event. 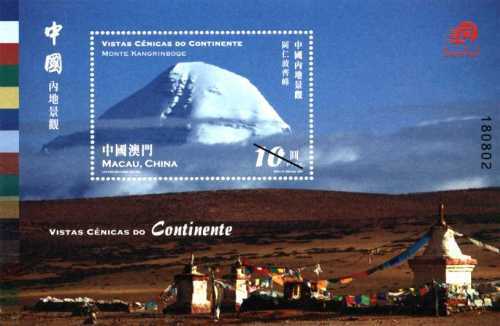 Macao Post announced that a Temporary Post Counter will be set up at our Philately Shop located at Macao Post Headquarters and the Communications Museum on 9th October 2007 providing the commemorative cancellation service for the “World Post Day – UPU”. 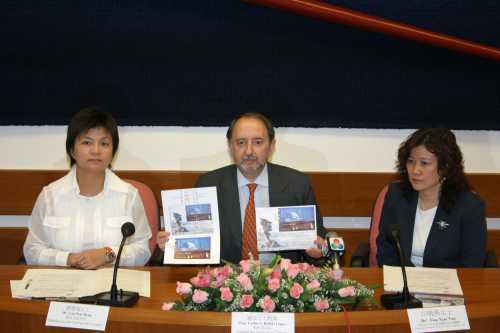 To cope with the 12th Macao International Trade & Investment Fair, Macao Post announced that a Temporary Post Counter will be set up at Venetian Macao Convention & Exhibition Center, on 18th to 21st October 2007, providing the commemorative postmark cancellation service for the “12th Macao International Trade & Investment Fair”.